Keyboard shortcuts key always helpful to fast and convenient. It saves lot of time by doing directly what we want. Winamp a well known media music player, it is most common program use for playing music and songs throughout world. 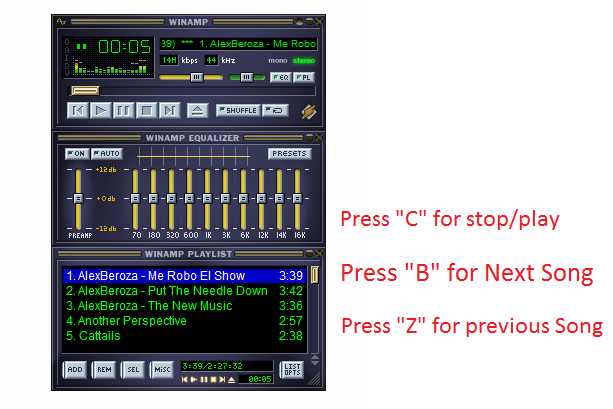 So here I will show you three important keyboard shortcut key for Winamp.